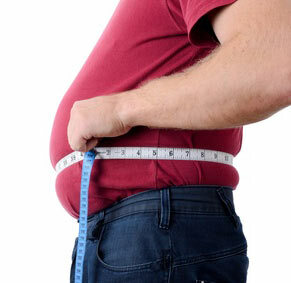 Obese man with high waist measurement, high BMI, high cholesterol and high blood pressure. 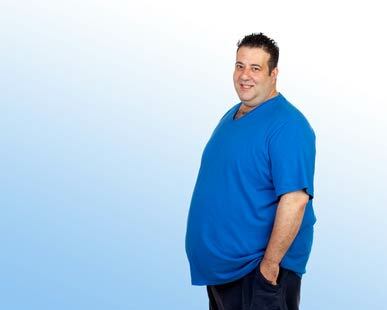 This condition is known as Syndrome X or Metabolic syndrome. Metabolic Syndrome is a condition that is diagnosed when a number of irregular health parameters such as too much waist fat, high blood pressure, high blood fats and pre-diabetes are occuring at the same time. It can lead to Diabetes, Heart Disease and/or Stroke in an afflicted individual. 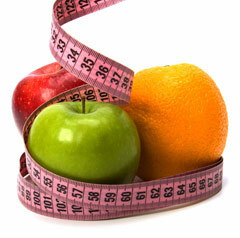 For more information on Metabolic Syndrome or Syndrome X see the Dietician's Association of Australia. There are three types of diabetes; Type I, Type II and gestational diabetes, all of which cause an increase in blood sugar levels. 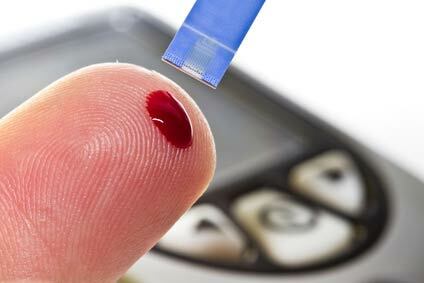 Insulin is a hormone responsible for removing glucose from the bloodstream however in the case of diabetes there is an insufficient amount of this hormone, either due to the death of insulin-producing cells (Type I), the body’s insulin resistance increasing (Type II) or because the mother’s body doesn’t produce enough insulin during pregnancy (gestational diabetes). Symptoms include excessive thirst and urination, fatigue and abnormal weight and muscles loss. For more information on Diabetes see Diabetes Australia. Woman at risk of heart disease due to her mild obesity and high blood pressure. The most common form of heart disease is Coronary Heart Disease CHD and is caused by the partial or complete blockage of blood vessels over time by fatty deposits known as ‘atheromas.’ Prolonged blockage of blood vessels can lead to ‘angina’ which is a brief period of severe chest pain or a heart attack where clots block the flow of blood to the heart muscle, eventually leading to tissue death and possible heart failure. While heart disease is asymptomatic until a heart attack, the symptoms of a heart attack are pain, tightness or heaviness in the chest, upper torso, and jaw, nausea, dizziness, breathlessness and cold sweats. If you or someone you know is suffering from a heart attack, call triple zero (000) immediately. For more information on Heart Disease see the National Heart Foundation of Australia. Vascular disease is another form of cardiovascular disease, primarily affecting the blood vessels. Once triggered it causes the lining of blood vessels to become adhesive and attract white blood cells which form plaques on the arterial wall and disrupt the flow of blood through the blood vessels. For more information on Vascular Disease see the Vascular Disease Foundation. 1 in 6 Australians will have a stroke in their lifetime. A stroke occurs when a blood clot forms in the blood vessels and travels through the bloodstream to block blood vessels in the brain, leading to death of the surrounding tissue. The symptoms of a stroke include the sudden onset of any of the following; weakness or drooping of muscles in the face and limbs (particularly if centred on one side), confusion or difficulty speaking, trouble seeing, dizziness or difficulty walking and a sudden severe headache. See stroke risk factors below. For more information on Stroke see the Stroke Foundation. Osteoarthritis is a chronic joint condition which causes inflammation of the tissues surrounding joints and damage to the cartilage which lines the bones and allows for movement at the joint. Osteoarthritis is often characterised by pain and stiffness in joints, frequently the knees, hips, hands and big toe. For more information on Osteoarthritis see Arthritis Australia website. See recent study regarding treatment of rheumatoid arthritis with fish oil (PDF 62KB). Osteoporosis is a condition in which the bones become brittle and fragile, particularly in the elderly, leading to an increased chance of fractures, commonly in the hips, wrists, spine and pelvis. Bone density decreases naturally after the age of 35 however in some people this loss of bone mass leads to particularly porous, fragile bones. There are no symptoms prior to a fracture however a GP can perform a bone density scan and help to strengthen brittle bones. For more information on Osteoporosis see Osteoporosis Australia. 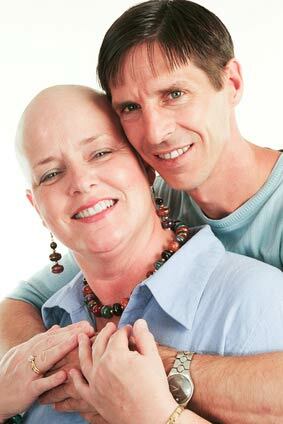 Cancer can come in many forms and is caused by the uncontrolled reproduction of cells in certain parts of the body. Cancers can cause serious damage to the organs they invade as well as ‘metastasise’ in which the cancer spreads to other parts of the body to form secondary tumours. 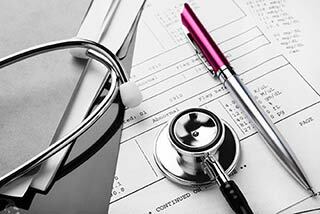 The symptoms and causes of cancer can vary based on the location and type of cancer and necessary treatment can vary accordingly. For more information see the Cancer Australia website. Chronic Obstructive Pulmonary Disease is a lung disease characterised by persistently poor airflow to the lungs as a result of breakdown of lung tissue and dysfunction of the small airways. The symptoms of COPD include: shortness of breath, coughing and phlegm. COPD is usually related to either smoking, asthma, bronchitis or emphysema (see below for more information). For more information on COPD and other chronic lung conditions see the Lung Foundation. Asthma is a respiratory condition which causes hypersensitivity and inflammation of the airways leading to coughing, tightness in the chest, difficulty breathing and wheezing. The onset of severe symptoms is referred to as an ‘asthma attack’ and if you or someone you know suffers from an asthma attack dial triple zero (000) immediately. Symptoms of asthma can be triggered by a variety of environmental factors such as pollen, temperature and tobacco smoke. Chronic Bronchitis is a form of COPD which is caused by inflammation of the bronchi in the lungs. Its main symptom is a chronic cough which produces large quantities of phlegm/sputum and mucus for over three months each year however shortness of breath and wheezing can also indicate Chronic Bronchitis. For more information on Chronic Bronchitis see the Lung Foundation. Emphysema is a degenerative lung disorder in which the lung volume decreases dramatically over time, often as a result of smoking. Symptoms of emphysema include weight loss, breathlessness, difficulty breathing and difficulty exercising for extended periods of time. For more information on Emphysema see the Lung Foundation. 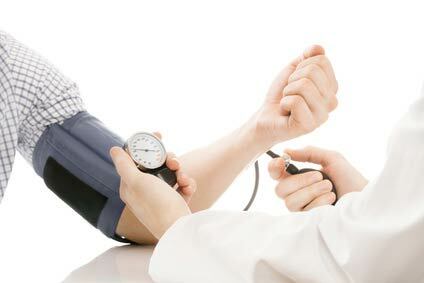 High blood pressure is a common issue affecting up to a quarter of all Australians. High blood pressure can increase the risk of suffering from a heart attack or stroke however it is treatable by a doctor. Lower blood pressure can significantly improve your heart health and decrease your chances of developing heart disease or suffering from a stroke. High salt or sodium consumption can cause hypertension, which critically increases your risk of strokes and heart attacks. To lower your risk, eat foods which are low in salt. The recommended amount is less than 120mg of sodium per 100g. Check the nutritional information panel on processed foods to find out how much sodium it contains. Strokes are often caused by the thinning of the blood vessels through the formation of plaques on the walls of the arteries. One of the key components of these plaques is cholesterol and the more cholesterol there is in the bloodstream, the larger and more obstructive the plaques will be. Diet high in fat and sugar and low in fruit and vegetables. Want to learn more about stroke prevention? Please call for an appointment today or book online now. High risk: Men’s waist over 102cm (40 in) or Women’s waist over 88cm (37 in). Eating a diet high in fats and sugars increases the blood cholesterol level and can lead to the formation of plaques on the arteries. The thinning of the arteries can lead to clot formation when the blood flow is obstructed by plaques and once clots reach the brain and become trapped in smaller blood vessels they cause a stroke. Research from Harvard University has shown that eating five servings of fruit and vegetables a day decreases the risk of suffering from a stroke by up to 30%. In addition to decreasing the risk of suffering from a stroke physically, eating the recommended serving of fruit and vegetables can also decrease weight and improve general wellbeing.